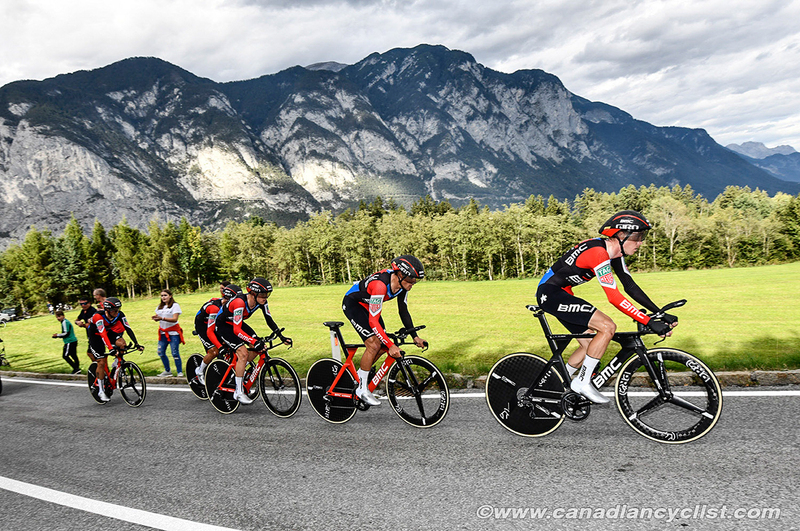 The Road world championships opened on Sunday with the Team Time Trial for women and men trade teams. This is the final edition of the event, which is being dropped for the Worlds program in the future. 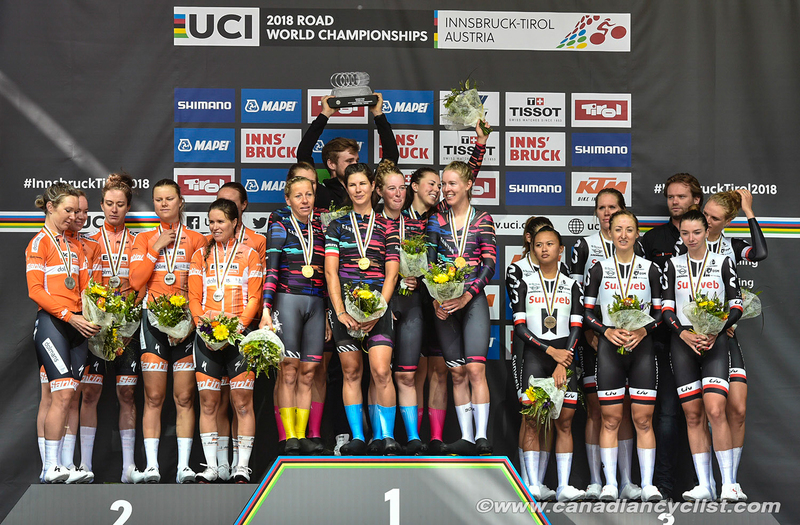 Canada had riders on both the silver and bronze medal-winning teams in the women's event, with Karol-Ann Canuel on the silver medal Boels Dolmans squad, and Leah Kirchmann on the bronze medal Sunweb team, the defending champions. 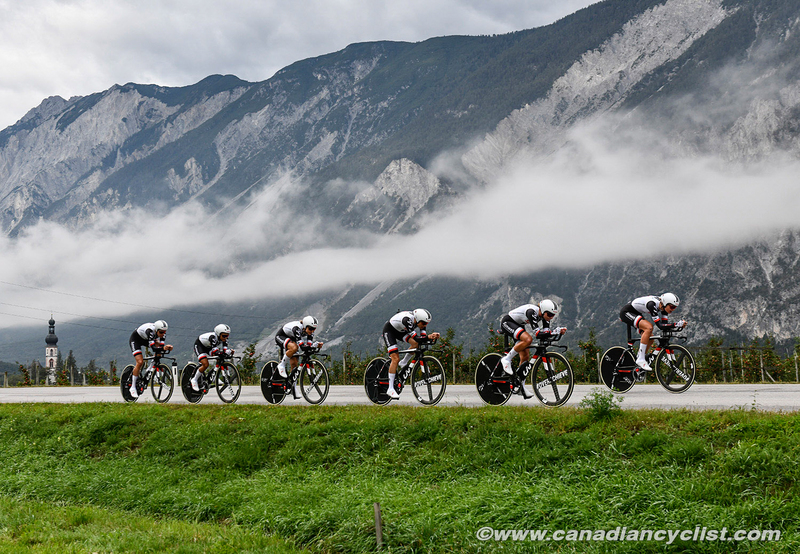 The surprise winners were Canyon SRAM, with a time of 1:01:46.60 for 54.1 kilometres. 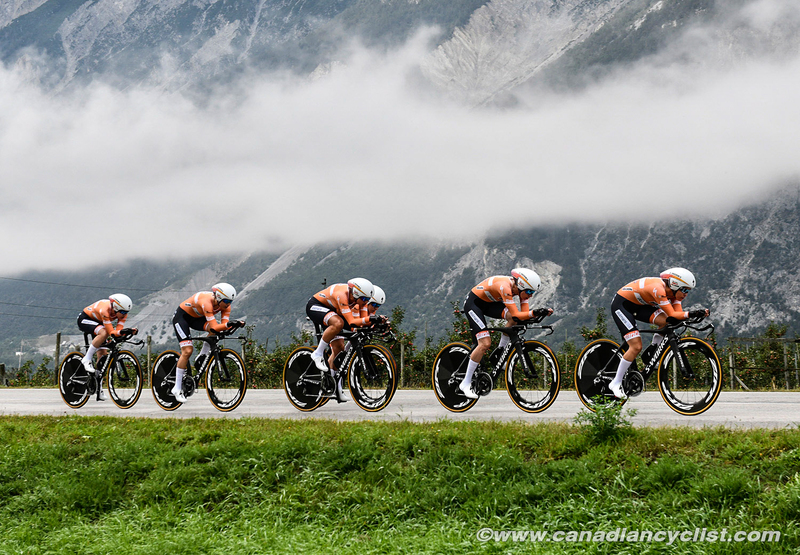 Boels Dolmans was 21.9 seconds back and Sunweb was 28.67 seconds behind. "I think no one was tipping that we could challenge for the win today," said an emotional Trixi Worrack after the finish. "But we knew, as we got closer and closer to today, with all of our preparations and training, we knew that we would be close. And today in the race, we had the perfect day." 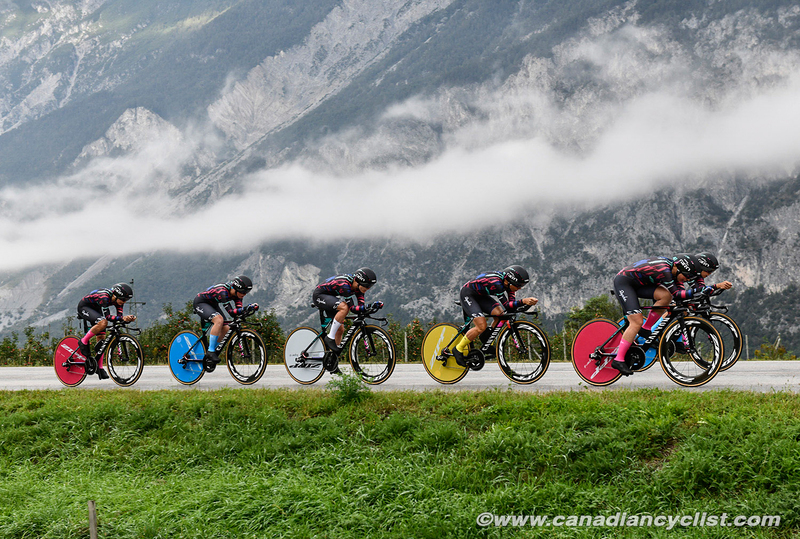 "We were hoping for more after winning last year in Bergen," admitted Kirchmann, "but still proud of our commitment heading into this year's race. 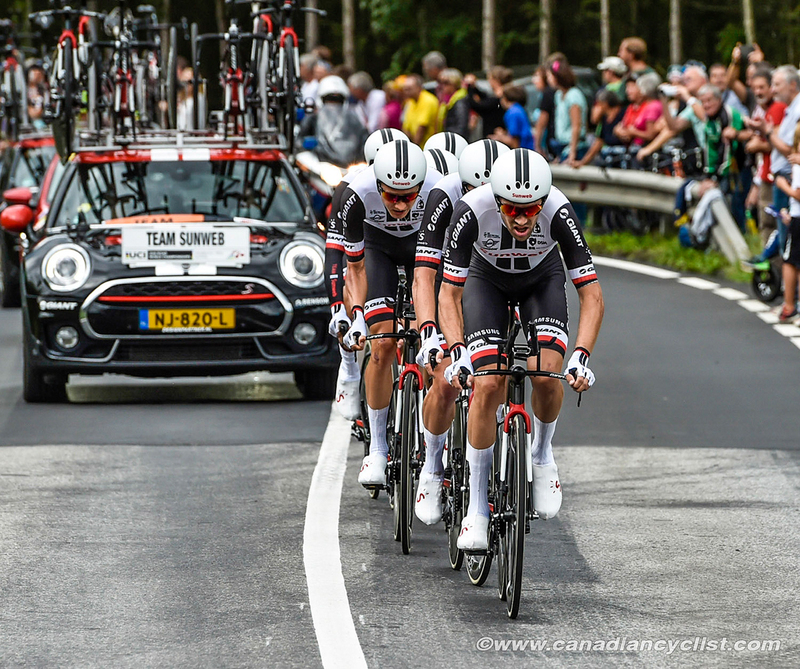 We executed a great race, and I had fun riding above 55 km/hr on such a fast course." 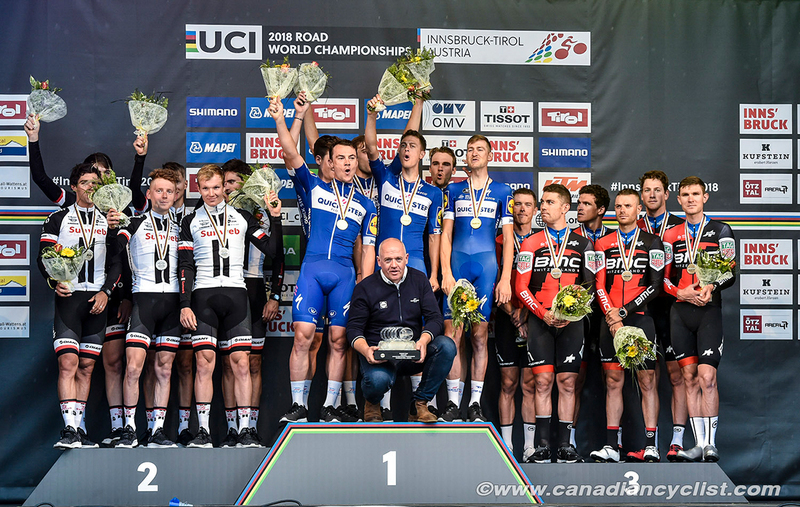 The men's title went to Quick-Step Floors, whose time of 1:07:25.94 for 62.4 kilometres beat defending champions Sunweb by 18.46 seconds. BMC took third, and 19.55 seconds. Canada had one rider in the men's race - Hugo Houle of Astana, who finished tenth. 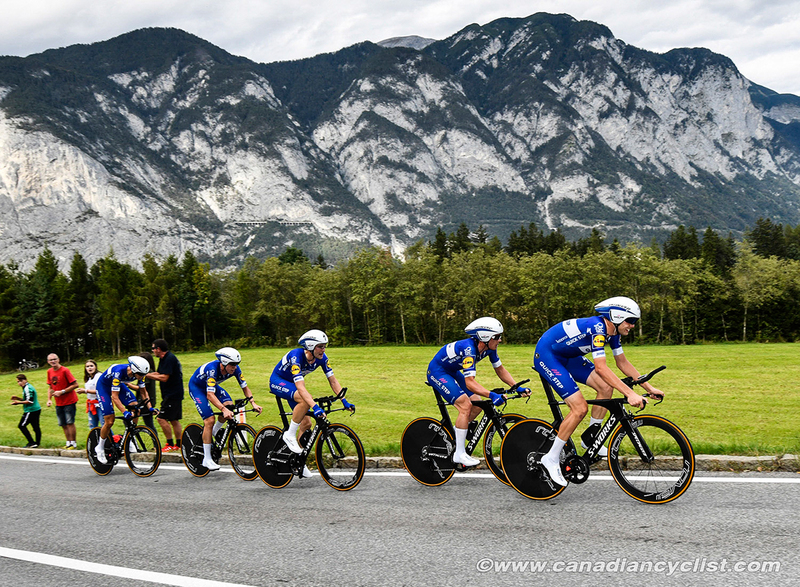 Speaking seconds after the race, Yves Lampaert, the Quick-Step Floors team captain, said: "We're so happy. The feeling is incredible. We're a very strong team but with a lot of young riders. We didn't panic after we got the first time check. We knew the climb was yet to come. All year long, we have won a lot of races but to take the world title as a team is something special."